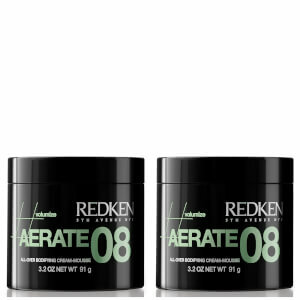 Boasting a clean-smelling, airy light formula, the Redken Style 08 Aerate Duo is lighter than a cream but denser than your typical mousse product. 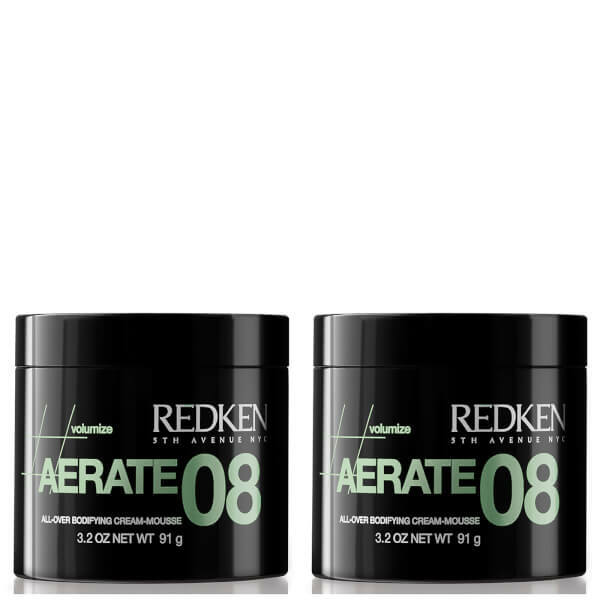 Working to add lift and volume, the formula boasts cellulose which thickens the hair, copolymers to provide lasting hold and benzephenone-4 to act as a sunscreen. Cellulose (thickens), copolymers (provides hold), benzephenone-4 (sunscreen).